Last month it was revealed that Bento Studio’s musical rail shooter, Cosmophony, would be adapted and ported to the Wii U by Moving Player. Now, the latest announcement has revealed the upcoming Wii U eShop release will be arriving in both Europe and the Americas on 30th October, for the price of £3.49, €3.99 & $3.99 respectively. Cosmophony, originally announced in 2012 for rival platforms, has players take control of the heart of a fallen goddess. In this intense experience, players will test their reflexes and listening skills, with the levels built around Drum & Bass beats. The rhythmic rail shooter will be presented in full 1080p, at a silky smooth 60 FPS. Adding to the visual splendour is the 100% DnB soundtrack courtesy of DJ Salaryman, and a juke-box mode where gamers can relax and listen to the hard earned tracks. 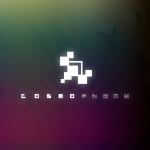 View the teaser trailer of Cosmophony below and let us know if you’ll be downloading this Wii U eShop title on release. That looks good and is added to buy want list! Cool! GREAT! I might as well just start stocking money in my eShop account; there's never any point to leaving it at zero after big purchases like Shantae, or anything... Something is always right around the corner, and this game looks rad. I love drum and bass and shooters... SOLD! Tempting. I'll await the review.